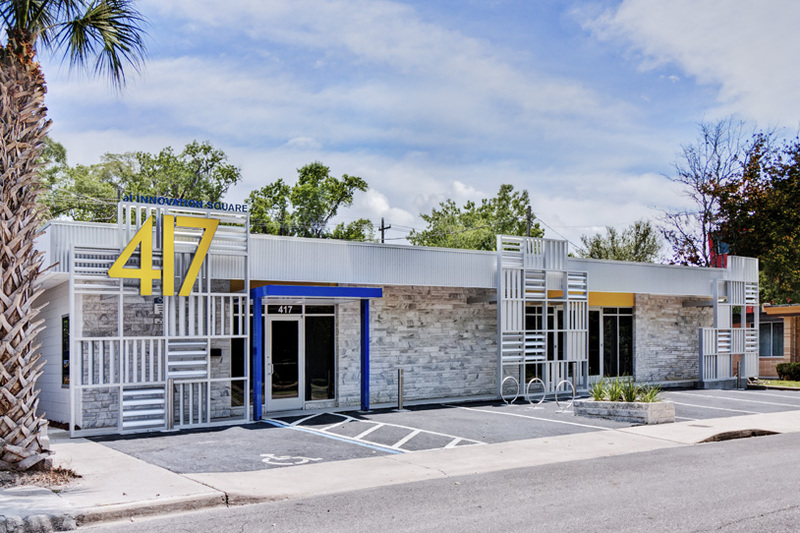 The 424 building is a well-equipped space that can keep your business running as efficiently as possible in one of the newest, nicest commercial real estate in Gainesville, FL! 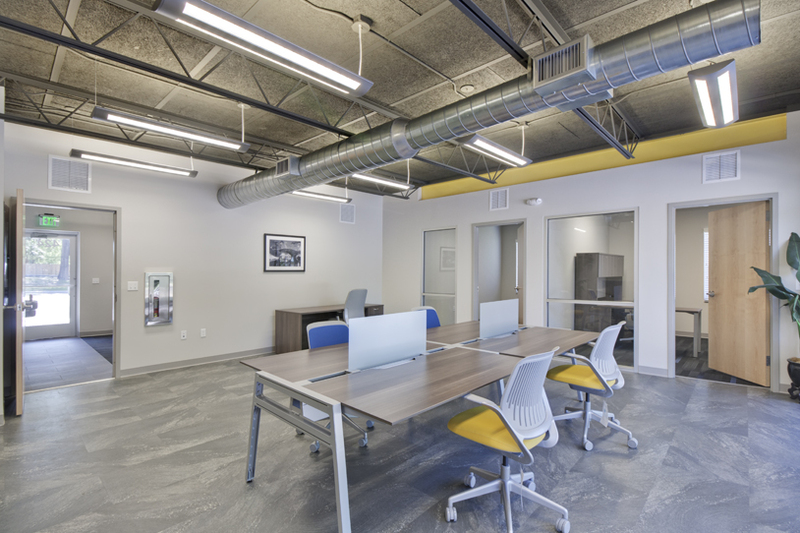 With 1508 square feet of modern commercial space, you can impress your clients and immerse yourself into the work at hand. 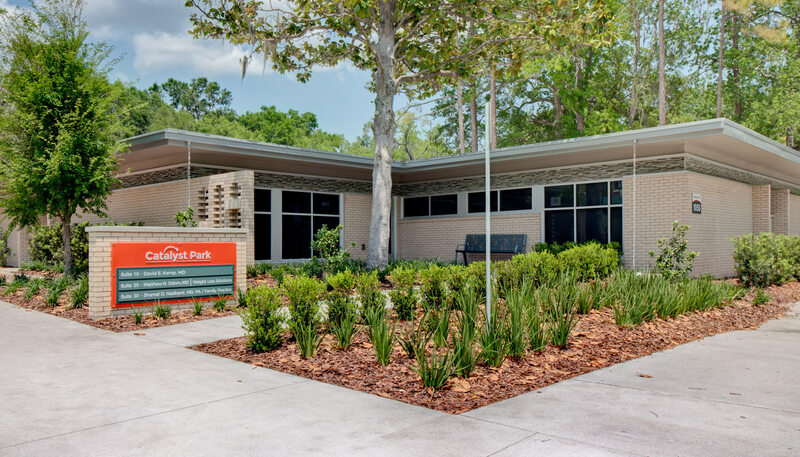 Join the vibrant community of Innovation Square, situated between downtown Gainesville and the University of Florida. 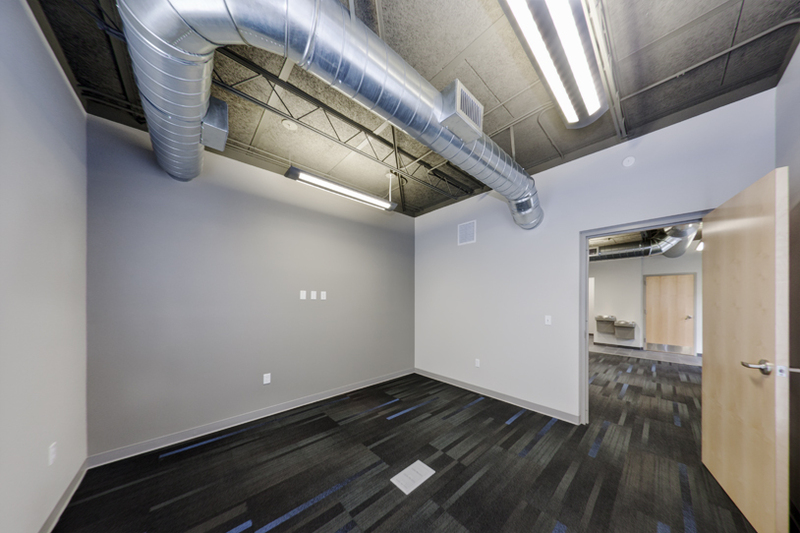 This commercial space is ready for move-in now or can be customized with a 30-60 day build out with options such as flooring, paint colors, and lighting fixtures to match your business’s needs. 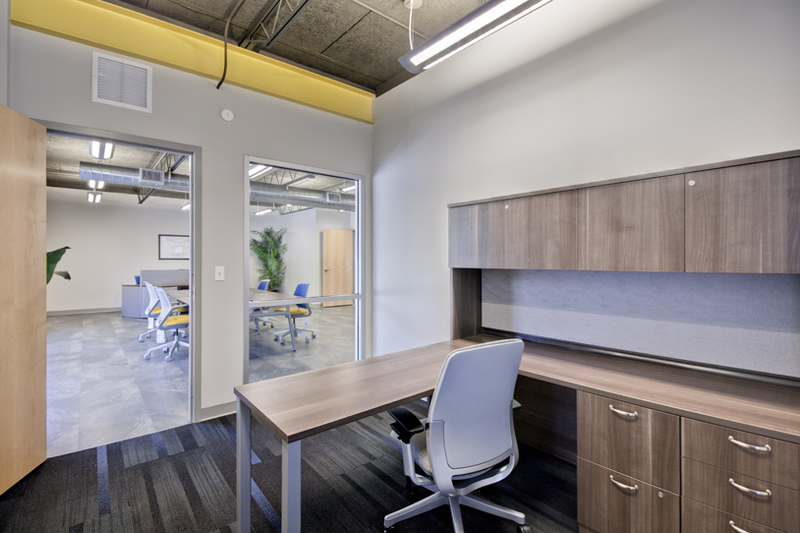 Private offices, professional meeting rooms, and open spaces create a contemporary interior. 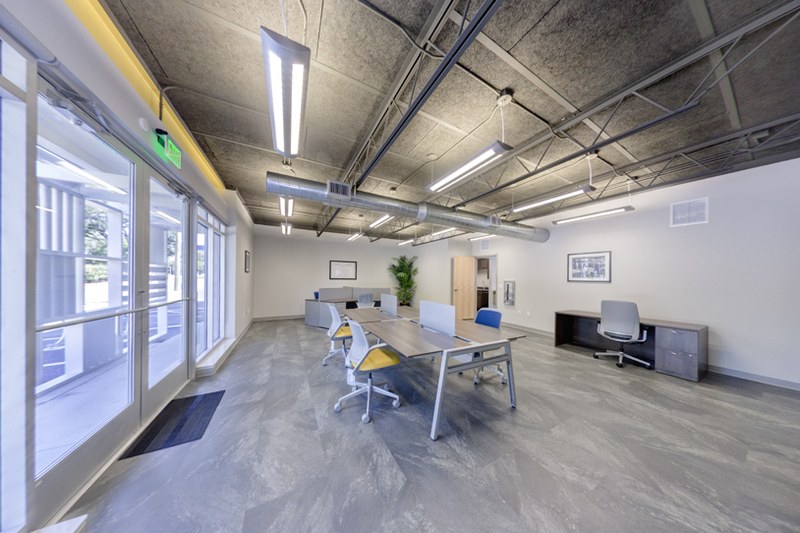 This newly remodeled office space in Gainesville has two attached parking lots, plus additional city parking right right in front of the building. Get all the benefits of this Innovation Sqaure location without worrying about finding the last empty parking spot. Trimark's award winning design team just completed an interior remodel, including the addition of new tile, new carpet, exposed duct work, upgraded lighting, solid wood doors, and a luxury kitchen and bathroom. Want to make changes? No problem. 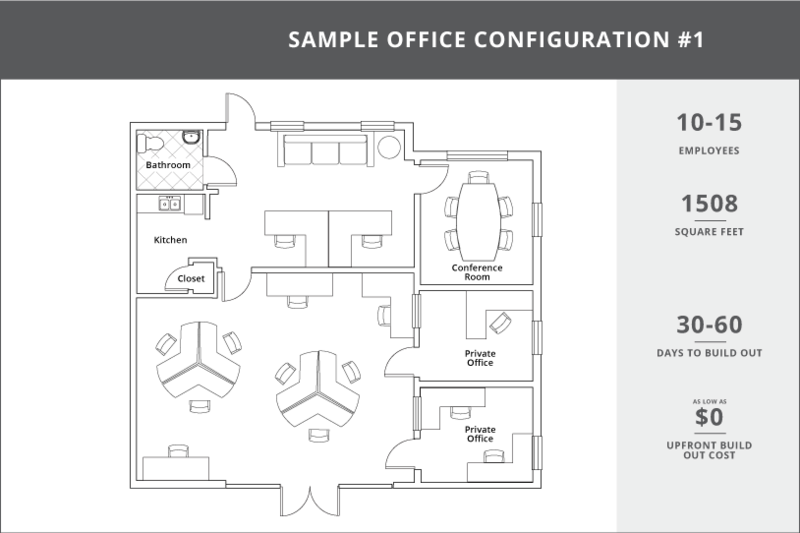 Pick from a variety of paint colors and interior design options to make your office look exactly the way you want. The possibilities for customizations in this space are endless. 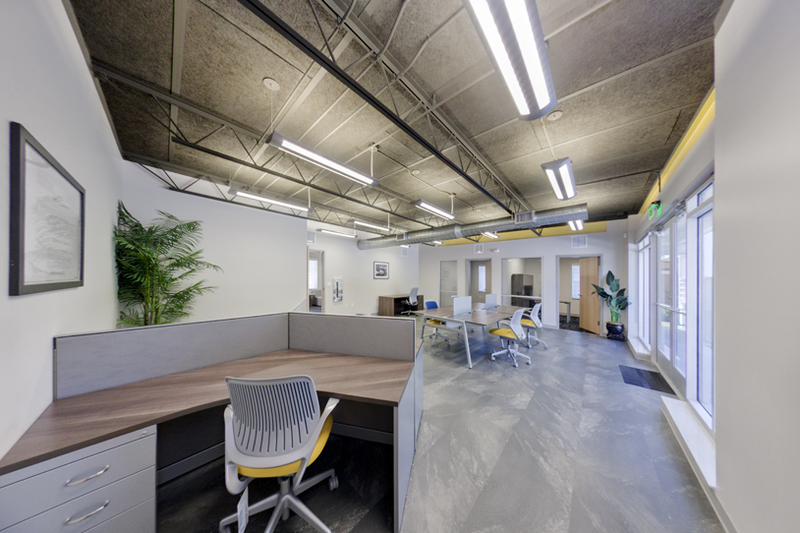 An award-winning architect with an eye for detail designed the interior layout to work well for either an office or a lab, with a large open work area with tile floors. There are two private offices with brand new carpet and large windows. 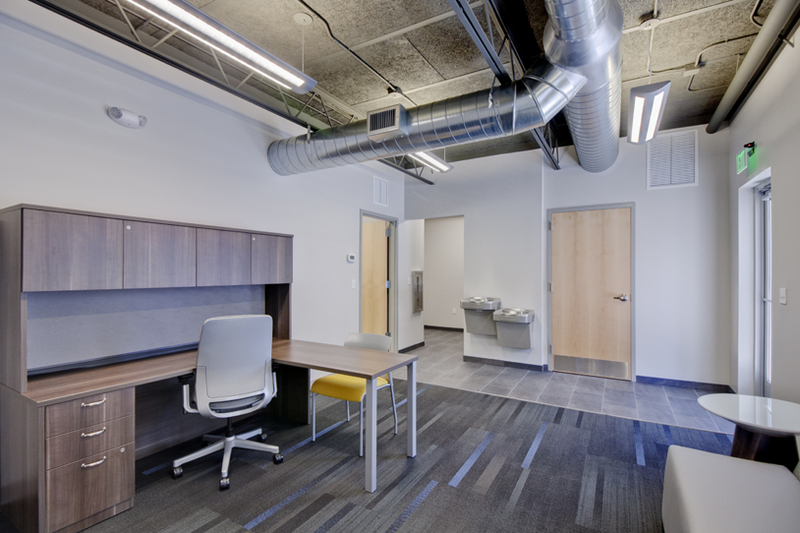 An oversized room with private entrance could be utilized as either a lobby, waiting room, shared work area, or a combination thereof. 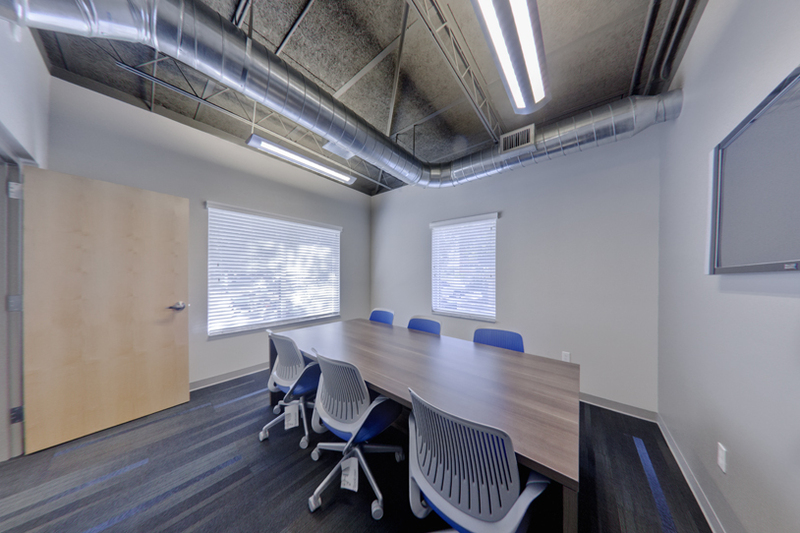 The large conference room is tech-ready and can easily hold an oversized conference table, wall-mounted TV, and video conferencing equipment. Staff and visitors will be impressed by the upscale kitchen and the oversized bathroom. It’s ready for your business! Enjoy the cool atmosphere created by the high ceilings with exposed ductwork, abundant oversized windows, and unique tile flooring in the open work areas, plus carpet in select areas. 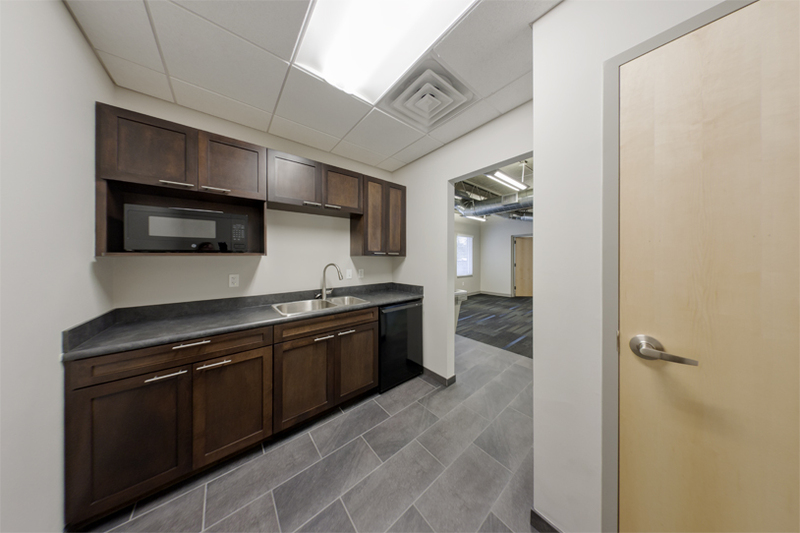 The modern 424 office space is ready for move-in with open work areas, a gourmet kitchen, luxury bathroom, and three private office spaces. 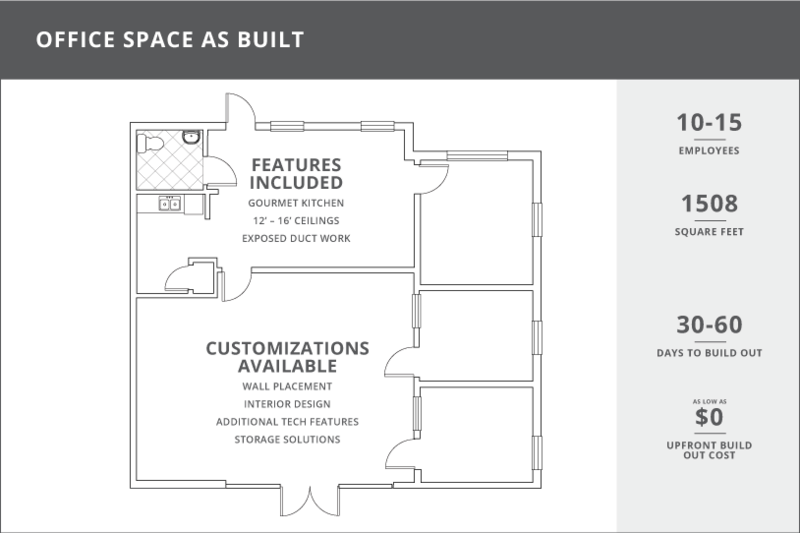 There are also options to customize the space to your company’s specific needs. 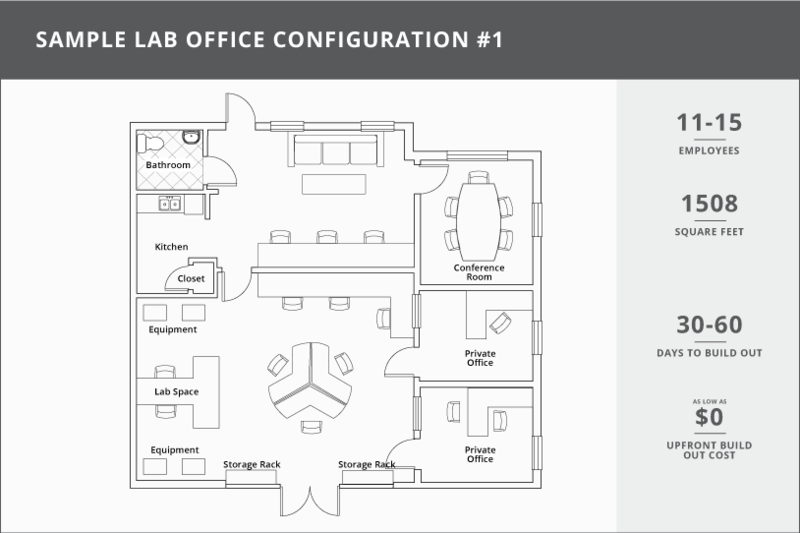 This space already has two private offices, but our award-winning renovation team is willing to take on any challenge. Add drywall or glass walls, add additional private offices, change the layout, or choose paint colors and interior design that will motivate your workforce and express your company culture. This building is ready for immediate move-in, with fresh paint and pristinely clean flooring. A professional cleaning company has prepared it so that it's ready for you and your staff. Need to make adjustments to make it perfect for your particular needs? Our award-winning renovation team with work with you to have it ready within 30 to 60 days. Imagine the possibilities - let us help you turn your dreams into a reality. 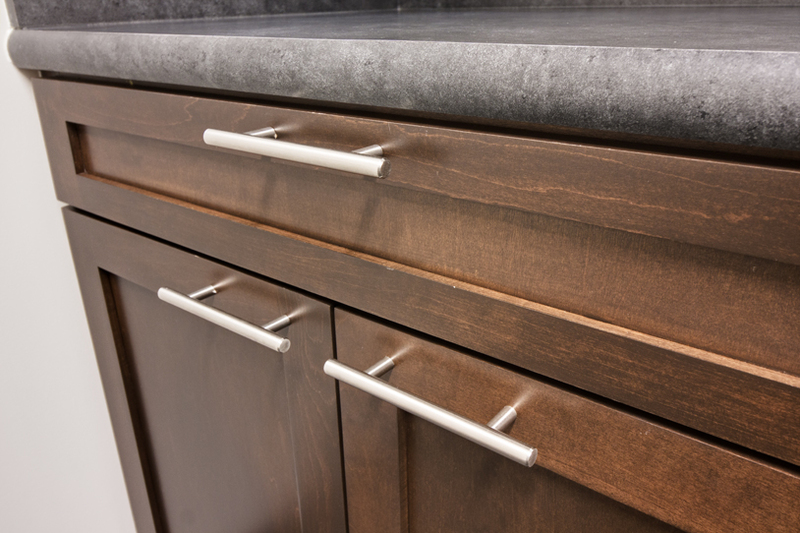 Check out the new, custom wood cabinetry in the kitchen, already built-out to for your needs.It's perfect for a small employee break area, too! Not sure if this layout will work for you? 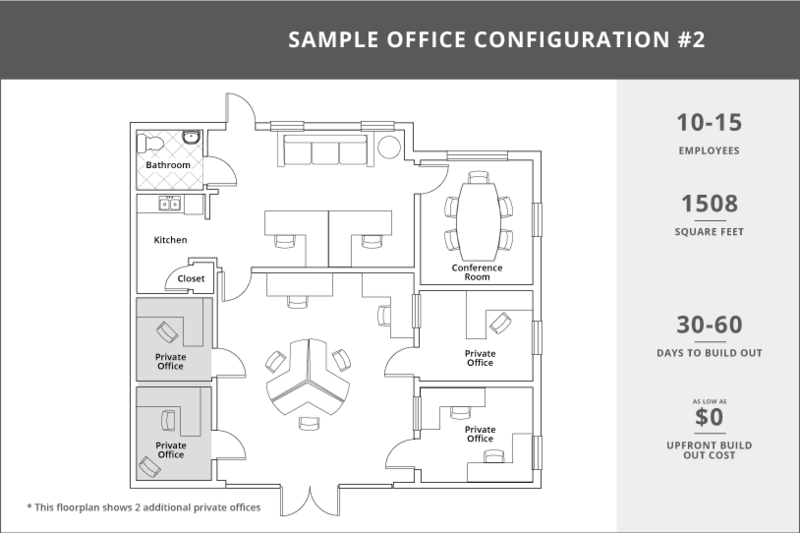 Contact us, and we'll provide sample floorplans free of charge, showing the exact number of employees that you have and how they could fit into the space. 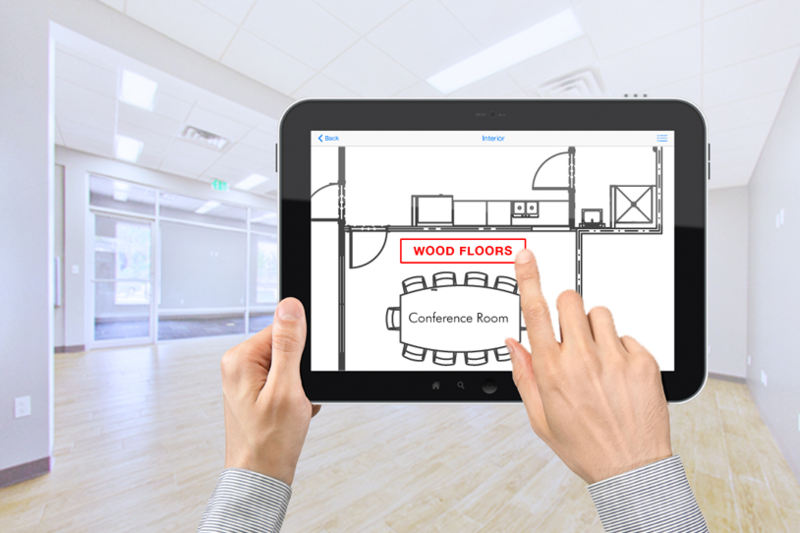 We'll draw in additional walls if needed, and help you envision how YOUR business would utilize space. 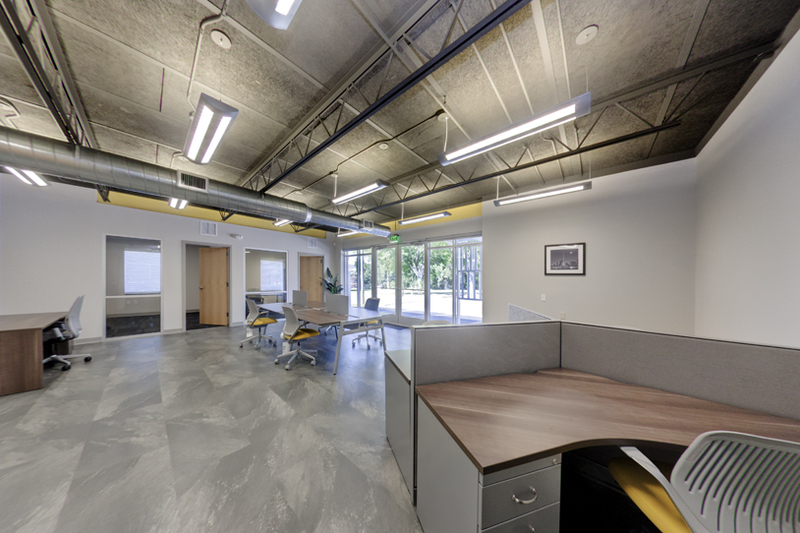 The 424 office buildng is located in the heart of Gainesville's innovative tech district. 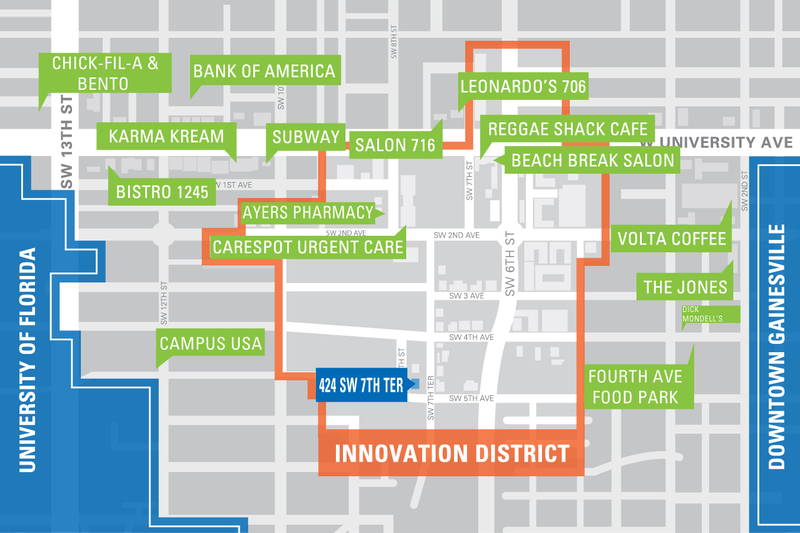 It is just steps away from University Avenue’s well-known restaurants and the Florida Innovation Hub incubator. Great networking opportunities are within walking distance, and you're walking distance to Downtown Gainesville too. 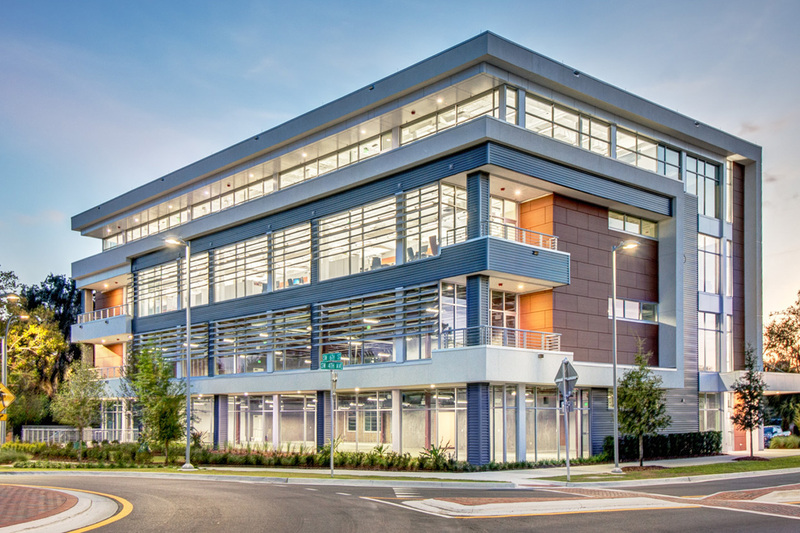 This prime location is perfect for any business looking to be immersed in Gainesville’s entrepreneurial spirit and the University of Florida’s student talent. 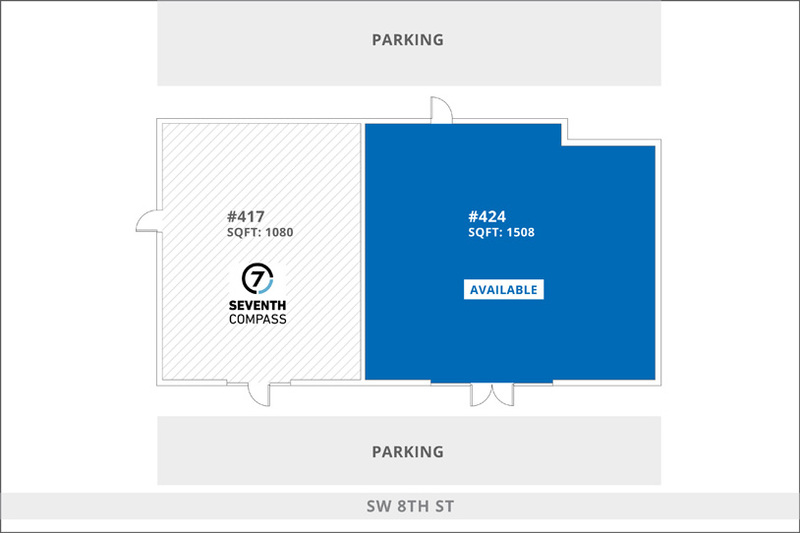 The 424 office has two attached parking lots. One lot is at the side entrance of the office and the other is behind the office. The multiple entrances allow easy access for both your employees and clients. There is also plenty of space for bike parking and additional city parking available. Join the growing Innovation Square community where like-minded companies will inspire you and stimulate your company's productivity. 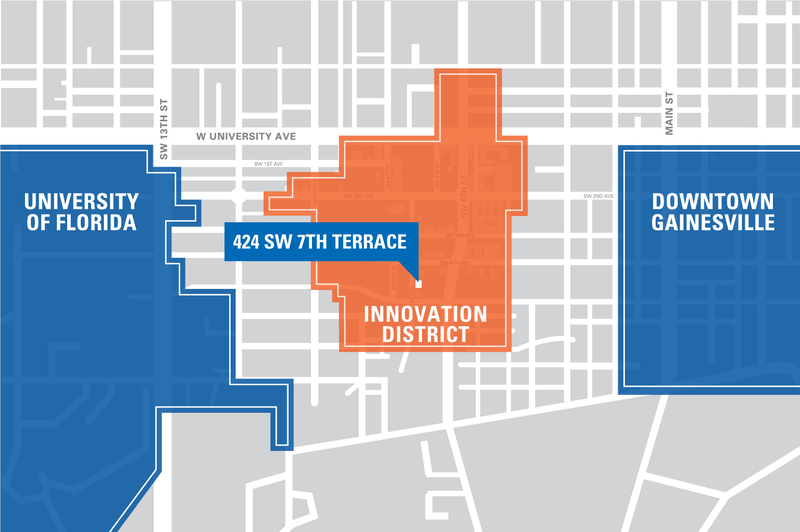 With successful neighbors like Seventh Compass and Mobiquity, Gainesville's Innovation Square is a great location for networking and expanding your business. Are you ready to put your company on the map? You and your employees won't have to travel far for a great selection of restaurants and eateries. Increase productivity by satisfying hunger nearby. Some local's favorites include Leonardo 706 and Reggae Shack Cafe on University Avenue. 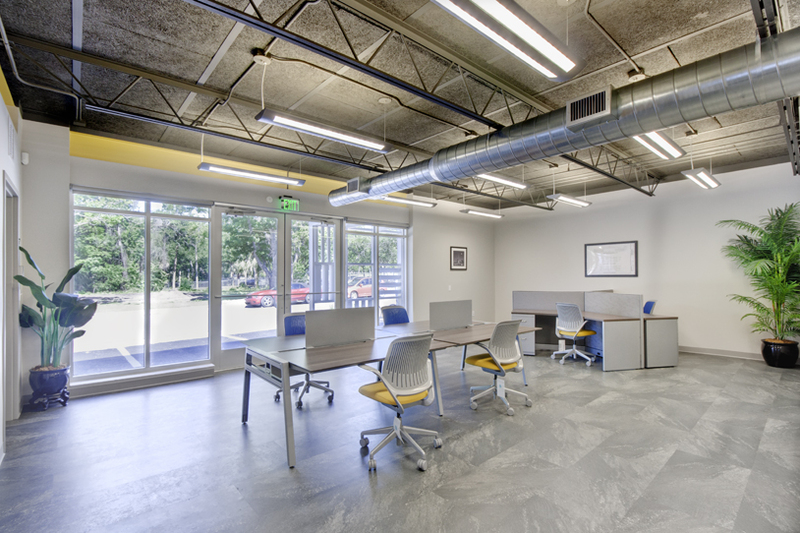 The office space is minutes away from Downtown Gainesville with fantastic places to meet with clients for lunch as well. Provide employees with an ideal location to work and live with lifestyle businesses like Gold's Gym and Beach Break Salon close by. 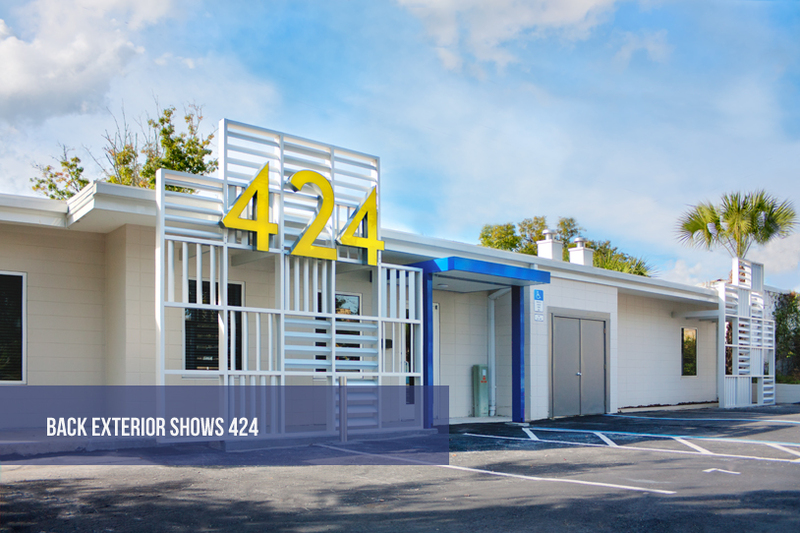 If you’re looking to establish your business in Gainesville, FL and grow your company, the 424 Building at Innovation Square is the right fit. 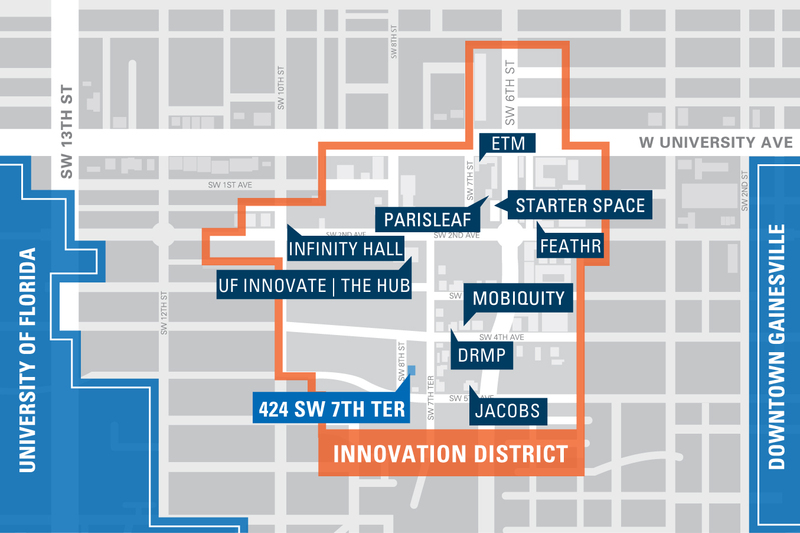 Enjoy the competitive advantage of being right next to the University of Florida and the creative spirit of Innovation Square. Contact us today to schedule an in-person tour and get more information. Reimbursment of relocation expenses of up to $50,000 for companies that create or relocate a minimum of ten new jobs in Gainesville. Encourages companies to relocate into developing areas by covering relocation costs. This program incentivizes creation of long-term high wage jobs in the technology sector. The grant is paid out over two years for jobs that are created and maintained and pay at least 150% of Alachua County’s average wage. For each high-wage worker, the company will be compensated at least $3,000. Grant used to attract and grow major high impact facilities in Florida. To qualify, companies must create new jobs, make investments and overall have an impact on the community. This grant was created to support businesses located in or locating into Gainesville with the help of the Gainesville Community Redevelopment Agency with design consultation, site selection and assistance in navigating the City's regulatory process. HUBZone is a program for small companies that operate and employ people in Historically Underutilized Business Zones (HUBZones). This program helps small businesses in urban and rural communities gain access to federal opportunities by awarding around 3% of all dollars for federal prime contracts to small businesses. An employer-driven training program designed to assist new value-added businesses and provide existing Florida businesses the necessary training for expansion. Companies are eligible to receive $1,500-2,000 per employee. Catalyst Park is located in the heart of Gainesville. This location is unbeatable! 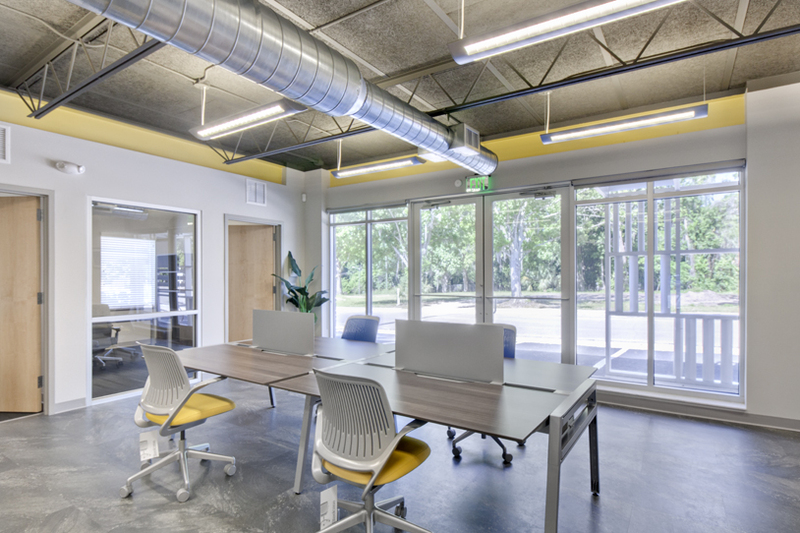 Located between the University of Florida and Downtown Gainesville; your company will be surrounded by other successful startups and businesses in the area.